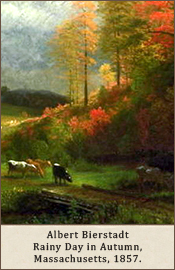 "And now, in this month of September, this month of traveling, when men are hastening to the seaside, or the mountains, or the lakes, this modest maple, still without budging an inch, travels in its reputation, — runs up its scarlet flag on that hillside, which shows that it has finished its summer's work before all other trees, and withdraws from the contest, " "Autumnal Tints." Join the Friends of Lynn Woods. 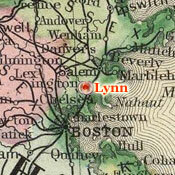 Visit the Lynn Museum and Historical Society. 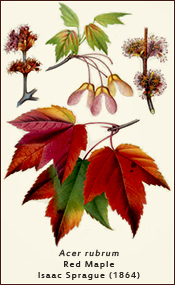 "beginning with the earliest reddening woodbine and the lake of radical leaves, and coming down through the maples, hickories, and sumachs, and many beautifully freckled leaves less generally known, to the latest oaks and aspens. What a memento such a book would be! You would need only to turn over its leaves to take a ramble through the autumn woods whenever you pleased." 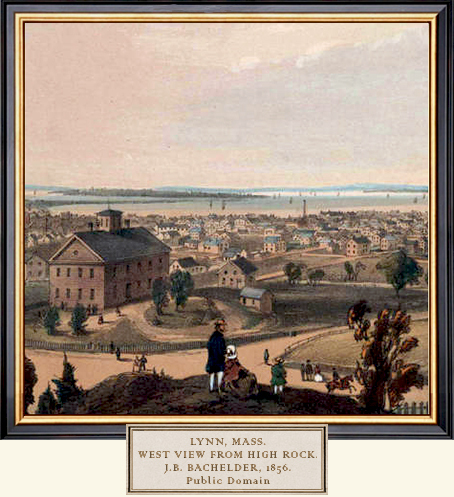 In his journal entries at the end of April, he characteristically excluded any mention of the response of his audience, but he did record a walk he took the next day with Cyrus Mason Tracy, who had recently published Studies of the Essex Flora: An enumeration of all plants found growing naturally within the limits of Lynn, Mass. and the towns adjoining. 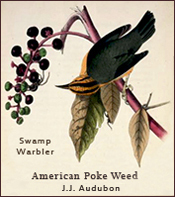 Along the way, he collected specimens to bring back to Concord, noted which plants grew where among the rocky hills, and compared the ringing song of the seringo or swamp sparrow he saw there with birds he had recently heard back home. Although he and his companion hiked near Dungeon Rock, he did not mention Hiram Marble, who was at the time hard at work attempting to mine the famous landmark where legend had it—and, in the 1850's, assorted clairvoyants had confirmed—that pirate treasure lay buried deep within the rocky cliff. Marble or, as he called himself, the "Excavator," had by that point dug a remarkable cave under the direction of various fortunetellers, and Dungeon Rock had become a popular tourist attraction. But even in Lynn, which was rapidly transforming into a major industrial center, Thoreau seems to have missed (or dismissed) the chance to compare the Excavator to the overzealous workers who appeared in the pages of Walden as seemingly fated to labor under a mistake." 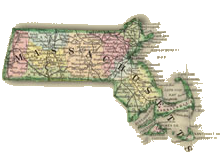 Explore Thoreau's works at the Biodiversity Heritage Library. See Paintbox Leaves at the Hudson River Museum. Learn more about Hingham-born botanical artist Isaac Sprague.